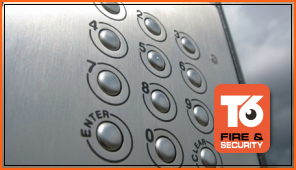 Access Control protects all personal/business items, by allowing access to authorised persons via a Card/Fob Entry System and completely restricting access to unauthorised bodies. 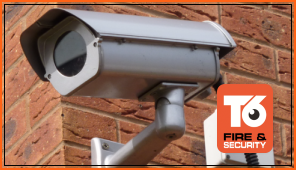 We offer an extensive range of CCTV products and we will visit your premises before we decide with you which system best fulfils your requirements. Here at T6 Audio Visual, we offer both wired and wireless options when choosing to install new or additional security. 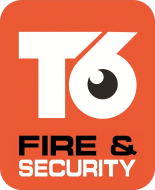 We are a Dumfriesshire based Company offering cost effective and reliable Security, CCTV, Access Control and Fire Alarms/Extinguishers for individuals and businesses alike in South West Scotland, Cumbria and North East England. 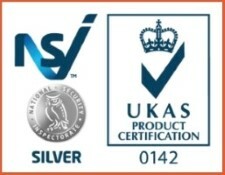 Since our establishment in 2007, we have seen a steady growth in the business and built up an enviable reputation, mainly due to the quality of our organisation and the diversity of services we offer to our clients. All our employees are CRB checked (a Police check scheme) and carry ID cards to prove who we are and who we work for. Please feel free to browse our site. If you have any further questions, please do not hesitate to contact us. We offer an extensive range of CCTV Security Systems and will visit your premises to decide which system suits your requirements. 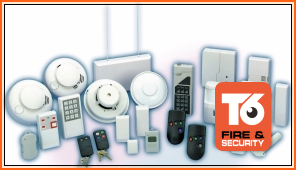 Here at T6 Audio Visual, we offer wired and wireless options when choosing to install new or additional security. 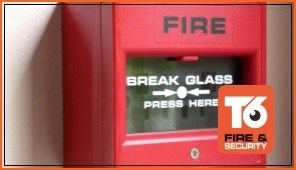 We can supply and fit fire alarms for homes and businesses in Dumfries, Scotland and Newcastle, both wired and wireless solutions available. 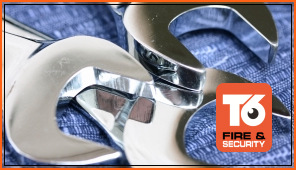 At T6 Audio Visual, we offer a 24 hours a day, 7 days a week call out service for all things CCTV and Security System related.